There’s something about a well tailored suit that asserts power and what asserts even more power like confidence in a print suit. 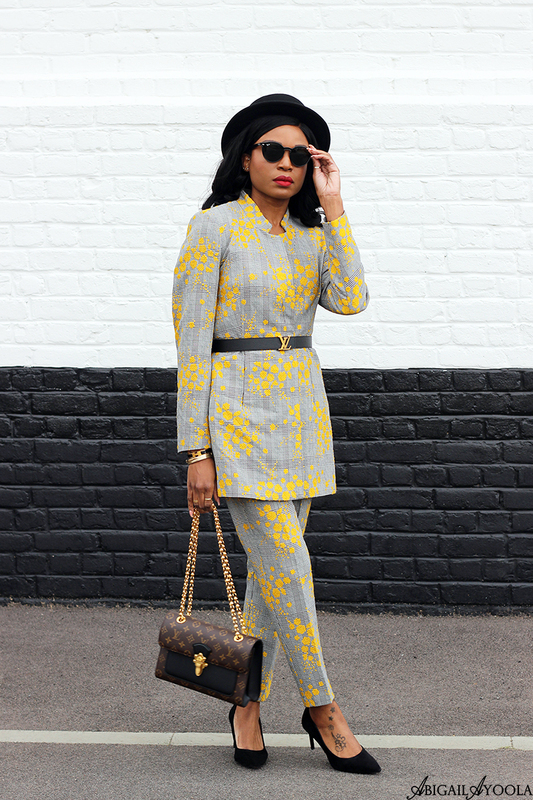 How to wear a print power suit all depends on the occasion but the one constant is confidence. A true power suit should consist of sharp cuts, wide shoulders and be structured. I personally love the look of a trouser suit on a lady but a skirt suit can also be striking. Of course what should differentiate the woman’s power suit from the mens is the fit, cut and jacket lengths. But a daring option would be to don a man’s actual suit. You could even add a slim belt over the blazer for a feminine touch. The combination of a long length blazer and cropped trousers is not only chic and flattering but contemporary too. In the inspiration of Coco Chanel, a cropped jacket and knee length skirt provides a feminine but powerful image for a lady also. Once you’ve got your favourite fit and cut sorted, you’ll be ready to move on to colours and print. I’d always recommend having a classic cut neutral coloured suit as a wardrobe staple first. Your neutral selection will allow you to be ready for any occasion like what to wear to a job interview. Then you can play around with prints and bolder colours. 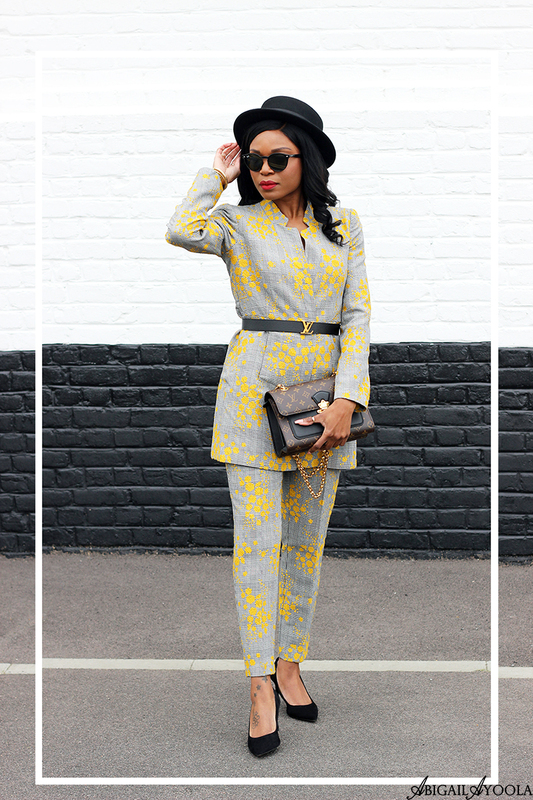 For my print power suit, I chose a monochrome plaid trouser suit with yellow flower print embroidery all over. For someone who loves a good all black outfit, this is definitely a spring inspired decision. The cut of the jacket is not only structured and well tailored but it is flattering worn open, closed or belted as I have done. The trousers are perfectly cropped for my frame and well fitted. The print I chose is subtle enough for me to wear to various events but just loud enough to make a statement. Whether your print choice is subtle or loud, you should wear it like a boss because that is the whole point of a power suit.